No More Sweat! 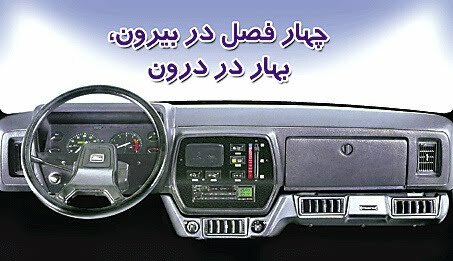 Check out this Paykan AC unit by Cooler Iran. 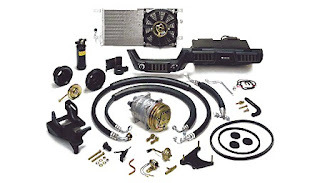 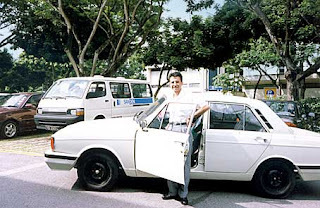 The company's history goes back to 1976 when they fitted 20,000 Paykans with AC as an OEM supplier. 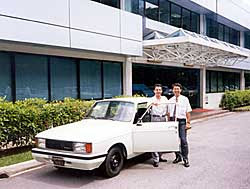 The above Paykan pictures were taken at Singapore during a 2 year long test session back in 1997. 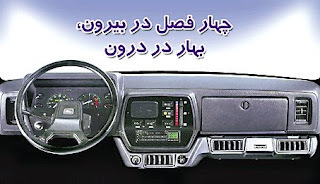 Their advert above says; Four Seasons Outside, Spring Inside!